and can travel about 50 mph fully loaded. That's rather interesting. 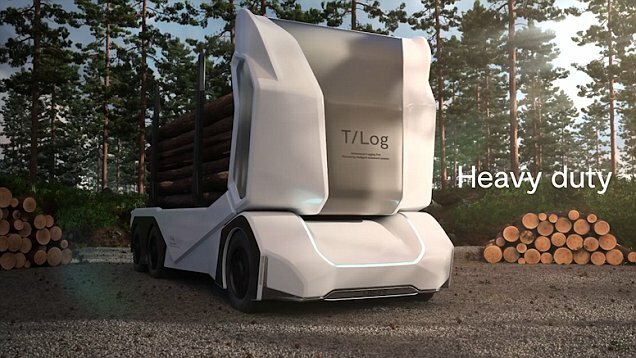 Does it pick up the logs? Someone must be in control of it.